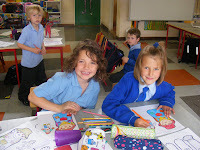 We've had a great few weeks being back to school and have settled in well to first class. 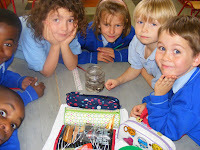 Here are some experiments that fun subjects that we have been doing in school of late. 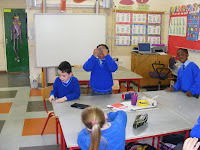 Here we are busy making our paper helicopters and tested them how well they fly - indoors and outdoors. 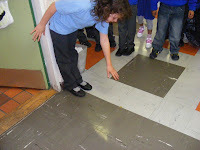 We experimented with design and used paper clips on the bottom of them as weights to help them fly better. 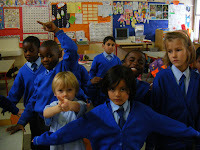 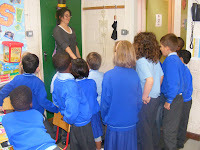 We also did a number of experiments on balance...we learned a new word called 'gravity' today! 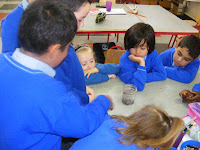 We also looked some dancing raisins - the air (carbon) bubbles helped the raisins to bounce up and down, ask us how it works - we can tell you all about it!